Snow covers the road and trees along North 21st Street in the Fairmount section of Philadelphia on March 7, 2018. One prominent long-range weather forecaster sees a wild winter ahead and another big storm in March. With the heat index expected to approach 106 degrees in Philadelphia on Wednesday, there may not be a better day to chat about snow, arctic temperatures and bitter winds. The 2019 Farmer's Almanac, out Monday, made its annual winter weather predictions and the news isn't good. The long-range weather forecasting formula used by the almanac for decades sees a very cold winter ahead, with arctic air, blustery and bitter winds and widespread snow showers and squalls. In the Mid-Atlantic states, the forecast sees temperatures hovering just above or just below the freezing mark, which means some of the precipitation may fall as either ice or rain/freezing rain. The coldest periods are predicted for early to mid-December, early and late January, and early February, with precipitation slightly above normal, with below-normal snowfall. The snowiest periods will occur in early December, late January, and mid-February, the almanac predicts. Frigid temperatures in mid-February could be accompanied by bitter winds and widespread snow showers across the Philadelphia region. 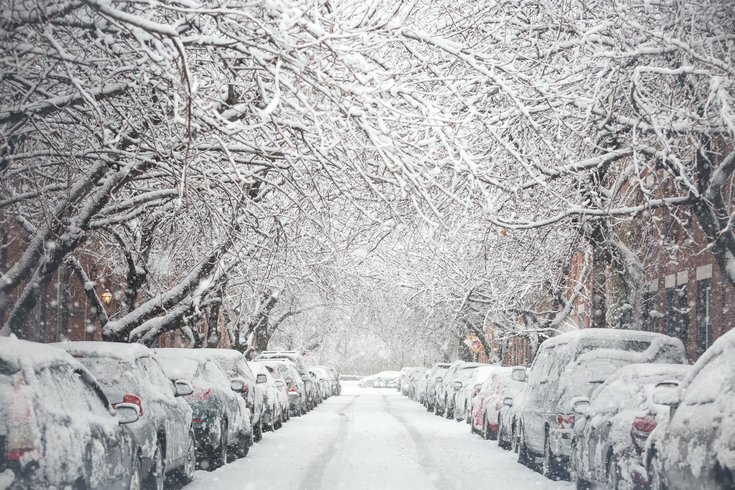 That means winter will persist with stormy conditions right through the official start of spring, according to Farmer’s Almanac editor Peter Geiger. "We stand by our forecast and formula, which accurately predicted most of the winter storms last year as well as this summer’s steamy, hot conditions," Geiger said in a statement. The almanac's forecast for last winter was pretty accurate.